Welcome to the CoBReG Student Network! To promote research interest among students for improved health and economic development. To provide a forum for interaction and collaboration among students and professional/academic mentors. To create opportunities for worldwide training, mentoring, and other capacity-building initiatives in order to produce a cadre of world-class scientists. These goals are achievable under the aegis of the various initiatives of CoBReG including the Training and Mentoring, Capacity Development and Outreach initiatives. 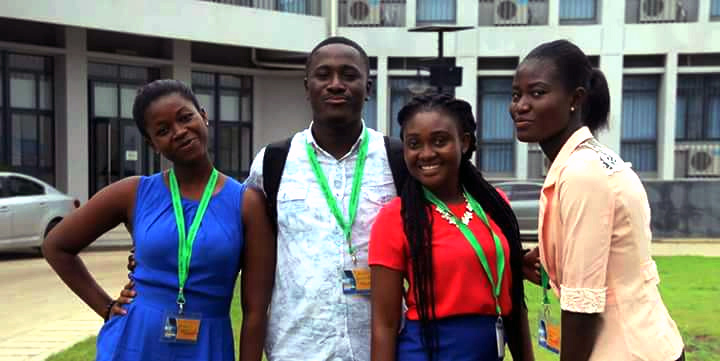 The Student Network is well represented on all the major tertiary institutions in Ghana, and various activities undertaken on the campuses include scientific seminars, research training, and outreaches. On this page, you can find information about all the campuses on which the Student Network is established, including information about any upcoming programs. You can also find information on various scholarships and other opportunities you can apply for. Additionally, you can find information about students who participated in our recent convention – the type of research that was presented and the honorable mentions they received as a result of the presentation.